Whatever the season or whatever the event, jacket is always considered as absolute fashion apparel. For kids, teenagers, adults or older age people, jackets is always considered as an icon of fashion that add style to the personality. Likewise the jacket designed from leather, cotton, and other synthetic material, jute jacket is also not lack behind as the preferred form. Whether it is the matter of fashion or comfort, jacket designed from jute is always considered as a practical option. Designed from the natural fiber, jute, this jute jacket is reckoned in the market for value added features that are exuded by the jute. 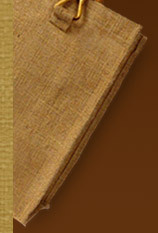 As jute is a highly durable material, jacket designed from this lasts for a longer period of time with no wear and tear. 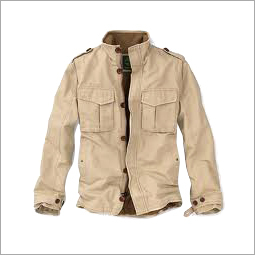 These jute jackets are designed for tough wearing purposes due to its high robust and strong nature. It is available in various sizes, designs and styles to exceed the expectations of every fashion lover. Jute jackets are designed in the vest-type or full-sleeved that has been gaining popularity all over the globe. In addition to this, it can be availed in simple as well as embellished form. Designers adorn such jute jackets with a number of adorning materials like fabric paints, embroidery, patch work, etc. Varied accessories are also used like beads, mirrors, stones, etc. to jazz up the hue of the jacket so that it can be easily worn with any kind of apparel. Designed for woman, man or kids, it provides cool and hip appeal to the wearer. These jute jackets are available in natural, bleached, dyed, finished or special sewed forms to suit everyoneâ€™s need or every occasion. Besides this, it is also combined with any other kind of natural and synthetic fibers to design jackets with high luster and amazing finish loaded with abrasion resistant property.